Hello, everyone! Today’s post will have some maps, so if you are of the geographic phobic variety, perhaps you want to scroll by quickly. This is a map of the 48 contiguous states with Alaska and Hawaii shown in the left corner. It’s a pretty common map children see when learning about geography. (To the point, however, that some of them end up growing up thinking that Alaska is located near Mexico. But that’s a whole different kettle of fish). I’d like to draw your attention to the middle top of the states, a place we usually refer to as a “fly over” state, meaning that it’s not a place people go to on a regular basis, just a place the planes fly over. (The US is biiiiiiiiiiggggg). It is a state we fondly refer to as North Dakota. (South Dakota is, well, south of it. I know, we’re so creative!). 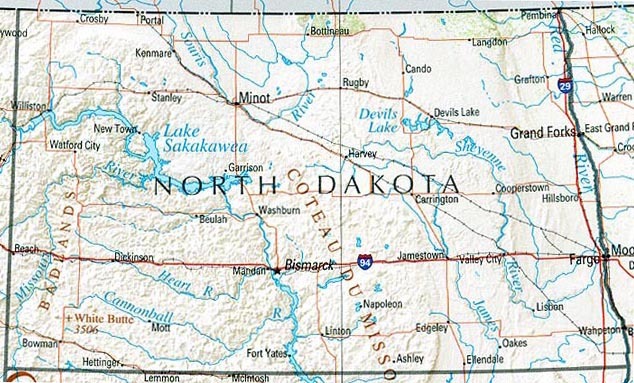 To the north of North Dakota is one of our neighboring countries, Canada, which we typically have very friendly relations with. Lately, however, it has become less of a fly over state and instead become very very busy. Why, you might ask? We might sum it up in a single word: oil. Oil becomes gasoline which helps our cars, trucks, and planes go. (And the United States is biiiiiiiggggg with very, very, VERY primitive mass transit if any at all, especially in rural places. That, also, is another kettle of fish). We are trying to get oil from Canada into other places in the country. Oil, in this form, go boom if it’s looked at funny, so planes are a nono. So, what’s the problem you ask? Well, there are two routes that the oil company has proposed. One of them through a mostly white neighborhood, one through a First Nations/Native American reservation. (The treatement of the indingenous peoples by our government? Not exactly what we might call stellar). If you’ve guessed already that the mostly white neighborhood has voted against the pipeline due to possible issues with the pipeline contaminating the drinking water, congratulations, you win a cookie! It was looking like he law of the land would eventually prevail. The Army Corp denied the easement. Annnnnd then Trump was inaugrated. He issued an executive order to advance the pipeline anyway. As of this writing, it remains to be seen precisely how this will play out in real life. But chances are, given the other stunts he’s pulled thus far, it won’t be good. 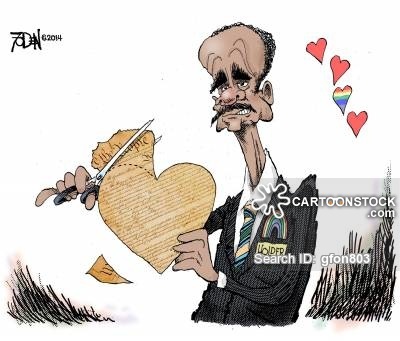 If you read this blog in it’s beginning, you’ll know that I have a very special relationship with Eric Holder; specifically, a relationship that could mostly be characterized as sheer, unadulterated hatred. Why? Oh, just things like voter intimidation, Project Gunrunner/Fast and Furious, Operation Choke Point, and the lack of due process. Small things like that. And, in full knowledge of all of this, California hired him as a consultant. Since the last posts have been fairly depressing, here’s a cartoon to lighten things back up. Apparently, Trump is in a race to see just how quickly I can come to loathe his policies and appointments as much as I loathed Obama’s. (Magic answer: Pretty dang quick). As Trump’s chief strategist, he has appointed a man named Steve Bannon. If your immediate response is: Who? Allow me to introduce you! Born in 1953 in Norfolk Virginia (one of the US states on the east coast, famous for a whole bunch of Presidents and some other stuff that probably isn’t important), Bannon is the executive chair of an organization called Breitbart News, a very very VERY conservative newsgroup, something so far off the path it’s called “alt-right”. What do we mean by that? Well, in Bannon’s case, we mean someone who’s a xenophobic, racist, mysgonistic poopy head. I’d use worse words, but this a mostly family blog, after all. This week I really wanted to write something humorous. Maybe find a few laugh-worthy sketches and comics. Instead, I’m disappointed. Thinking of this administration¹ I hang my head low. We had the travel ban, and a clear demonstration by the Trumpster which, to me, goes against everything that is essential to a political system that is fair through checks and balances. I briefly talked about checks and balances here. Essentially, it is the separation of power in government, in the form of the legislative, executive, and judicial branches, that allow for checks and balances. This is a good thing: it promotes the security of liberty by balancing and restraining tyranny to preserve freedom. Now note, it is not just the existence of these branches that is important, but also the ability of these branches to be able to check and restrain the other branches. It is so to prevent any one branch of government from becoming an absolute². Speaking of checks and balances, you might know of this one guy Jefferson, on his Notes on the State of Virginia he called out that “the powers of government should be so divided and balanced among several bodies of magistracy, as that none could transcend their legal limits, without being effectively check and restrained by the others”³. So does the class want to take a stab at why the Trumpster fired acting US Attorney General Sally Yates? Okay, okay, wrong question. I should ask what it means: What it means is that the political branch of government, i.e. the executive, is bent on silencing the judiciary, which exists to check the executive. Yes, let that settle. Think on it. Mr Trumpster said goodbye to Yates because she disagreed with him, instead choosing to replace her with Dana Bonte who agrees with the Trumpster. What we are seeing see a man hiring lapdogs, and yes-men. Is this the government that the people of the United States of America deserve? One which panders to itself? One which silences those who disagree, speak up, and those who question? Okay, anyone else need a breather? And an Advil? And to the ladies of The View who here talk about Yates’ dismissal, and whether Sessions’ will be just another yes-man. * Oh and as for the title of this blog piece, the Bowling Green Massacre, here, here and here are some relevant commentary. ¹ If it is not clear that I am referring to the Trumpster’s administration, then we would much appreciate the address to the rock you’ve been under. 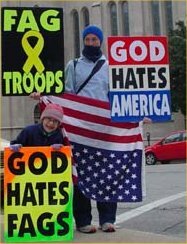 For those of you souls fortunate enough not to recognize the acronym WBC, it stands for Westboro Baptist Church. For those of you who are still fortunate enough not to know what that is, I assume most of you are familiar with the KKK, the Klu Klux Klan. If you are somehow privleged enough not to know what that is, buckle up, buttercup. This post is gonna be a doozy. I pretty much assume the readers of this blog are American and thus somewhat familiar with American history. For those of you, however, who slept through history class or just aren’t familiar with this particular story, let me take you back in time . . .through the mists. . . to the year 1619. In the year 1619, econonmics really sucked for a lot of people. So much so that people were willing to become indentured servants. Basically, they worked for room and board working off a debt, typically the price of their ticket to come to America. If I remember correctly, the typical period was about 7 years of labor. But I don’t remember where I got that from, so feel free to correct me. People noticed that that this was a really expensive way of doing things. And, since there were other people in the world already involved in an active slave trade, 1619 brought the first African slaves to the United States. This began several hundred years of people mistreating blacks because of the color of their skin, a problem that unfortunately continues to today. There was a bit of a skirmish we Americans like to refer to as “the Civil War” as if it was the only one in history. It was very bloody and very divisive to the point that, yes, you can still see traces of that divide to today also. After the battles were over, in a tiny little town in Tennessee, a group called the Klu Klux Klan was formed. They were most known for being truly delightful Caucasian fellows by day, then wearing white hoods so they wouldn’t be recongized while burning crosses and/or lynching their black neighbors at night. You’ll notice that I did not mention a date when the Klu Klux Klan dissolved; they still exist. (The first ammendment gives them the right to exist, sans burning crosses and lynching). I wish I could tell you that truth was going to be the most distatestful thing I ever have to write for this blog, but it’s not even the most distasteful thing I have to write for this post. According to their own website (which I refuse to link to – not only do I find their ideology reprehensible in every sense of the word, but their website URL actually contains a slur against homosexuals; if you want to find it, which I cannot caution you enough against, you can Google it), the Westboro Baptist Church was founded in 1955. And instead of following in the grand tradition of many other Christian groups in America who selflessly and quietly serve their communities by doing things like creating tutoring centers for under-privileged children or having food pantries where all are welcome (both things I’ve personally witnessed churches in my communities doing), the WBC decided to take a . . . different approach. That was one of the tamer images I found. How bad did it get, really? Let me put it this way. It got to the point where the Klu Klux Klan came out and said the WBC might want to tone it down a bit. No, really. Allow me to suggest to you, dear reader, that when the Klu Klux Klan comes out and tells you that you are being too hateful, you may want to dial it down a notch/re-evaluate your life choices/throw yourself off a bridge. Anyway. Where was I? Oh, yes. The title of this post. 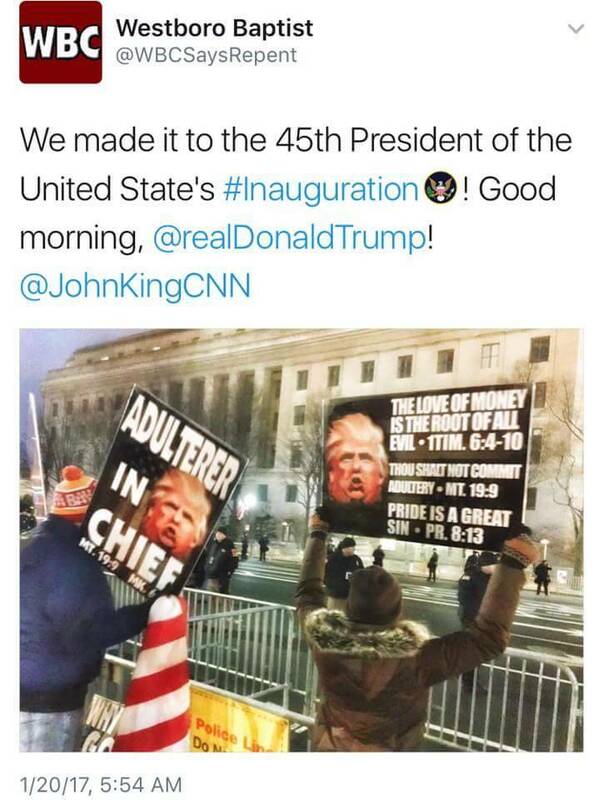 Apparently, the Apocalypse is just around the corner or something, because the WBC is protesting Trump. No, REALLY. And as much as I hate to say it, as much as I thought this day would never come, as much as I would rather cut out my tongue than say this, and I really, really, really hate hate hate saying this, but. The WBC and I agree: Donald Trump has not proven he belongs in the White House. The plagues of blood and boils may now commence. I had a lovely post all planned out for today, then Trump went and did a thing that I have to talk about first. 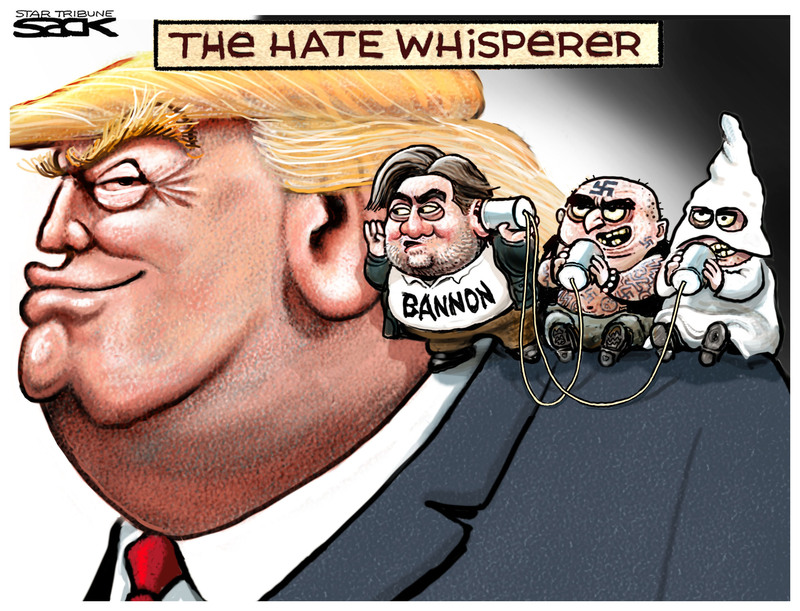 So, we will get to the loveliness that is Steve Bannon, but we will have to talk first about the gag order Trump has imposed. Employees from the Enviromental Protection Agency (the EPA) and the Department of Agriculture are now blocked from communicating with the public or the press. Allow me to repeat that sentence for you. Employees from the Enviromental Protection Agency (the EPA) and the Department of Agriculture are now blocked from communicating with the public or the press. And one more time, just to make sure it sunk in. Employees from the Enviromental Protection Agency (the EPA) and the Department of Agriculture are now blocked from communicating with the public or the press. Because the president disagrees with the findings of science regarding climate change. Which, look, even if you think everything about climate change is totally bogus, how is this going to help? This stops two fairly important government agencies from doing important parts of their JOB. They can’t educate the public about ANYTHING. Like, oh, I don’t know, if say we had a crop blight in one part of the country that coud spread to another. You don’t get to gag people just because you disagree with them. There is, I feel it important to note, Constitutional provision for military secrets, stuff against throwing the country into anarchy, and sedition, etc. What about “wrong science” (if, indeed, it is that) qualifies? The senior management officials of these agencies looked at each other and did two things: 1. Set up rogue Twitter accounts that they posted to anyway and 2. Resigned en masse. (Though now rumor has it that this was the normal overturn of administration and that they were fired. Make of that what you will). If you’re in the United States or a citizen abroad, call, mail, e-mail, or send smoke signals and carrier pigeons to your representatives. You can find them here: Representatives. If you’re not a citizen, you can still send your opinion to the White House here: White House. I warn you now, however. The time when sending an e-mail or letter may be sufficient is, I suspect, rapidly coming to a close. More action may soon be required. But for liberty, it is worth it to risk all, for without liberty, none of the other rights are worth the letters used to print them on paper. You heard it folks: there is a ban on abortions. Okay, okay, it only applies where federal money is going to international groups that perform or provide information on abortions. I.e. it only applies outside of USA borders. (This is still a major problem!). Now this is not something new, for many a decade Republicans and Democrats have been going back and forth on this issue. Some might remember it as the Mexico City policy or the global gag order. * It started with Republican President Ronald Reagan in 1984 with stopping the funding for international groups which perform or provide information on abortion. The tug-o-war on this continued from Clinton, to Bush, to Obama. But just because it’s happened before does not mean that it is alright to take these rights away from women. This takes away a woman’s right to choose. This takes away a woman’s control over her own fertility. This takes away a woman’s right to complete and full advice on family planning. This in ways censors organisations from giving women all the information, and providing essential care. In the face of all of this, what brings tears to my eyes (because of the good in the world) is that the Dutch have stepped in (#ThankYouToTheDutch). They are stepping in to support an international abortion fund which will help to mitigate the some harmful effects of Trump’s atrocious, ogre-defining, uncivil global gag order. The fund, announced by Dutch Development Minister Lilianne Ploumen, will help those groups that wish to continue providing birth control and abortions to women who need it. I do hope other organisations and governments also step up, join the cause, and help provide this essential health care for women. ¹ Activists say that Trump’s global gag order will lead to deaths: Read more here, and here, and here where there is also some talk of the new patriarchy. ² Many thanks to the Dutch Government for stepping in with their international abortion fund. *P.s. we’re noticing a trend: gag-orders galore. For more gag-order related news watch out for Friday’s post by Bookpheonix.